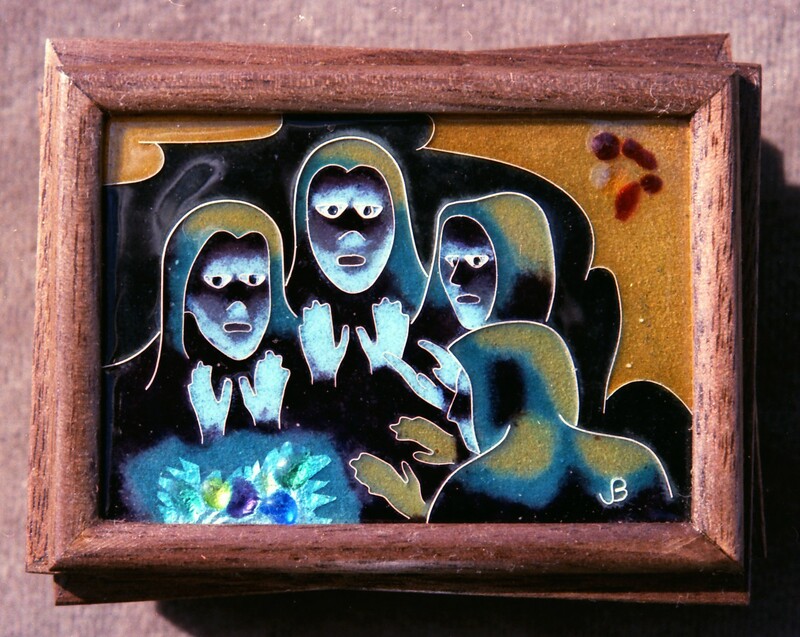 This is one of a series of postings about enameling and art metalwork. It is based primarily on my own work in the 1980s. I am not a master of these arts, but I hope this will be an advantage in communicating the basics, in simple terms, to readers not already familiar with them. The series is not intended to instruct in procedures, but solely to impart an appreciation of the art forms involved. In the final posting, A Grand Finale, I plan to present several of the world’s great masterworks and other notable enamels. 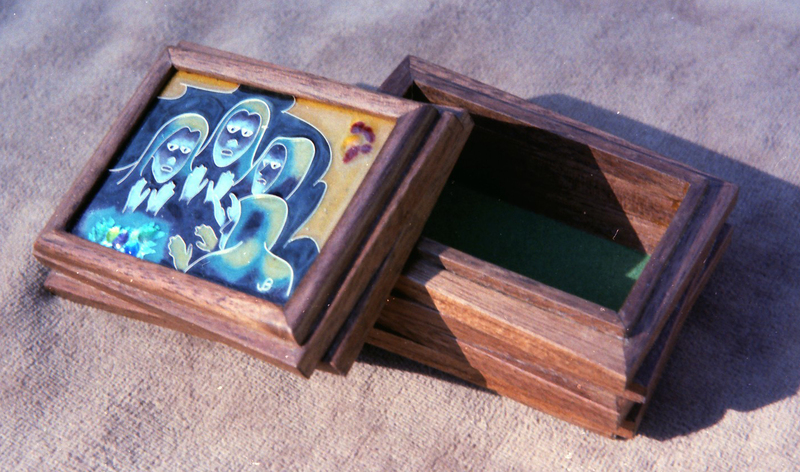 World Askew is a workpiece of cloisonné enamel mounted on a wooden box. The enamel is a form of glass that has been fused onto a metal surface at high temperature. “Cloisonné” refers to the cells (cloisons) created by the insertion of fine wires that are an integral part of the design. This work features people in darkness and cold, trying to warm their hands over a frigid flame. Meanwhile, they seem unaware of the warmth and light surrounding them. A familiar theme of life’s experiences. In keeping with the “Askew” theme, the mounting appears to be a crooked stack of walnut slabs. Actually, it is a box. 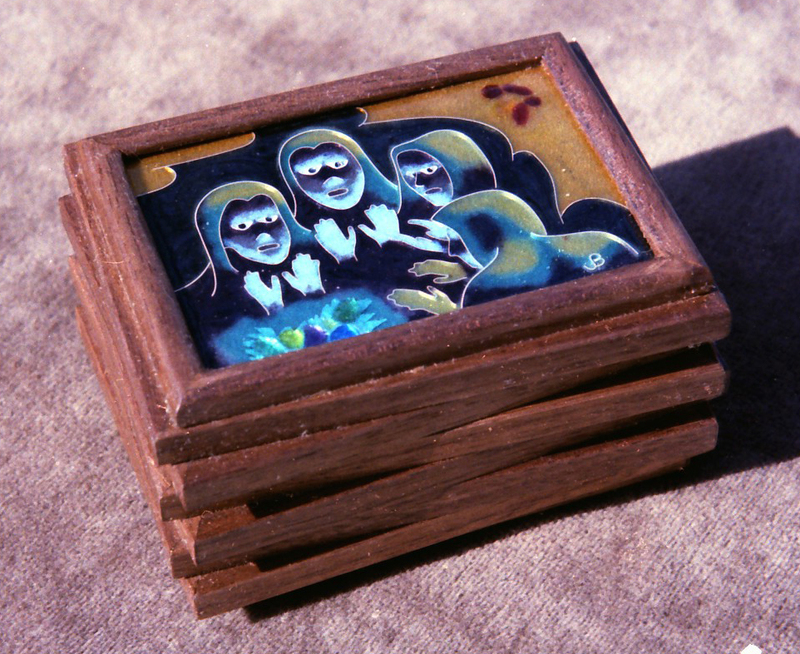 This entry was posted in Art and tagged Art Metal, Cloisonné, Enamel. Bookmark the permalink.